Boil water and cook rice as instructed on package. Remove from saucepan and set aside to cool. When rice is cool, mix in the egg, parsley and cheese. Season with salt and pepper and set aside. Saute the onions in the olive oil until tender and add the sausage. Use a wooden spoon to break up any large pieces. Cook until no longer pink and add the florets. Add basil and oregano and simmer 15-20 minutes, stirring constantly. The mixture should be moist and not too dry. Add the cheese and set aside to cool. Wet your hands and shape mixture into balls by adding about 2 tablespoons of the meat mixture in your hand and then surround it with about a 1/4 cup of rice and roll it around to make a ball. Dip in beaten egg and then roll in breadcrumbs, patting gently to stick the crumbs to the rice balls. Heat vegetable oil in a deep skillet or heavy saucepan to about 375 degrees. Once the oil reaches temperature, adjust the heat to maintain a steady temperature. 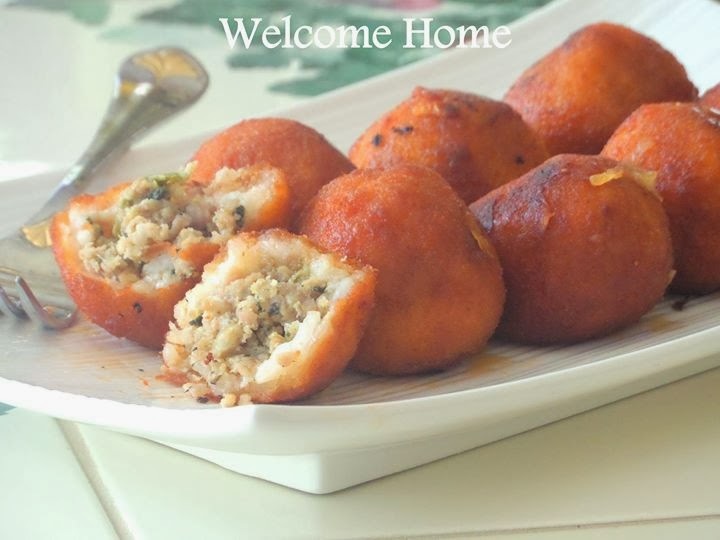 Deep-fry the rice balls until they are golden brown and set aside on a plate lined with paper towels. Serve with your favorite pasta sauce if desired. They look so good. I will try them when I visit with my daughter. One of her favorites when we visit my Italian brother in law. His mother made them when she was still with us. Thanks for this recipe and all others.